For one small American town, news that their mailman has committed suicide comes as a massive shock! Everyone knew him and loved him. The position of mailman doesn't stay vacant for long though, as a man mysteriously takes up the post. But this mailman seems....weird, he gives everyone the creeps and just seems off. 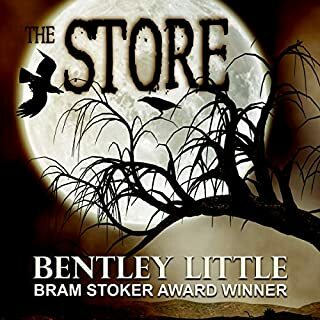 One family in particular find him strange and with little pieces of the puzzle falling into place, Doug finds himself sure that this mailman isn't what he seems. This book was very slow to get going, yet it wasn't boring. Personally, I do think that some of the book could have been cut and it would have speeded things up, but I also feel like it was all necessary to create the atmosphere needed for the story!! The tension is building and building with each page until you eventually get to the end, which is what I liked. I loved the idea behind the story. We all need a mailman, maybe not as much as we used to, but they are still needed. The mailman might be privy to certain things, but what if the mailman knew everything? What if he used that to pit everyone against each other and fed on the fear and hatred? What if even the sound of the mailmans car had you in fear? Well, this is what the author did. He brought to life, the creepiest mailman ever!! In all, this was a good read, though I did find the ending a little disappointing! Not what I was hoping. 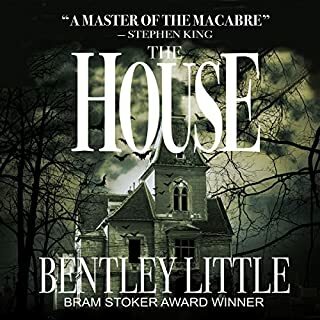 Still though, I enjoyed the read and loved the old school horror feel to the book. I will check out more from the author, though I need to be in the mood for a book with a lot of details! David Stifel read this really well. His tone and cadences brought the characters to life and he captured the evil mailman perfectly. It took me a while to get into the book. I went back and forth trying to figure out if I should take the book seriously. Wasn’t sure if this was somehow an analogy for some much larger issue, but in the end I think it is simply about a demon mailman. Once I decided to just accept that there is a demon mailman and he has supernatural abilities I was ok with the story. Now it does go from slightly silly and childish happenings to where did that graphic brutal attack come from. In the end I just kept thinking if the book had Steven King’s name on the cover nobody would question any of it so I just tried to enjoy the ride. This book is quite long and there are some side stories that don’t seem to benefit the overall story. There are some basic character development in the beginning that doesn’t really go anywhere and isn’t really needed for the overall plotline. It starts out with a clear direction but then starts to drag a bit and I started to yell at the characters for being dumb. The ending is fairly predictable but goes off into some directions I wasn’t really expecting and seemed to contradict itself a bit. All in all I didn’t hate the story but I can see why a lot of people would. I couldn't help but think about Kramer from Seinfeld trying to stop the mail the entire time. The narrator was really good. His voice is very familiar sounding and I kept trying to see where I had heard him before, turns out I haven’t. Either way I enjoyed listening to him tell the story and he surely helped make it go by. I loved this book. It kept me on the edge of my seat. I did not want to put it down. This is my new favorite author. THIS was a whole new concept in horror. I was pretty impressed. 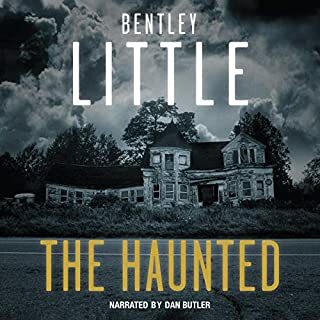 Bentley Little is twisted. I don't even know who to compare him to. This book was clever and very original. Definitely worth the read. 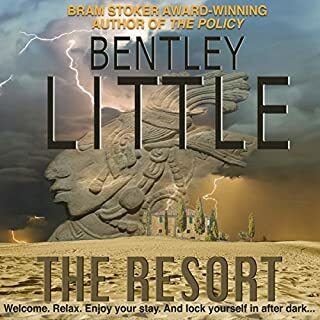 If you have read Bentley Little before and liked him, but wasn't crazy about how far he goes, you'll really enjoy this book. He goes just far enough to scare you and like I mentioned before, the concept is brand new and unlike anything I have read before. 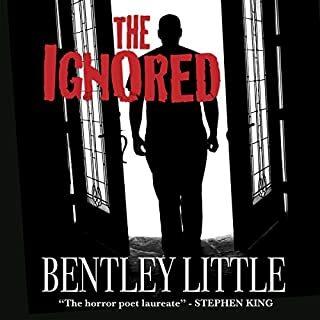 very good at the beginning but then it just kept dragging on and on and on and then you realize oh my Lord the mailman is the Boogeyman and it just got so predictable from there and then the ending was about as cheesy as cheese can get!! I would much rather rip out one of my toenails and eat it instead of go through that nightmare again. also my little brother rules and he's good people. But what's really sad though is I wasted all that time of my life giving this book a chance thinking it was going to get better but instead it just turned into a big bag of what the fu@#!!!! i love these type of stories but it didn't take long for me to realize this one is a DUD. i couldn't get past the son's nightmare, it was obvious that it was a dream. i couldn't finish the book. the son's having nightmares about a man that is pale skinned, has red hair, delivers the mail really early, works hard and has everyone spooked by his very presence. not at all interesting to me. Interesting twist on the genre! The mailman delivers a nice evil and frightful tale. Highly recommend! This book was not the best but not the worse book I've ever read. You know what you are getting with thus book nothing more nothing less. 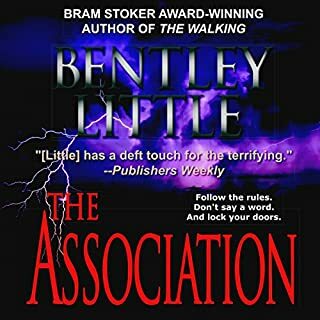 Bentley Little is good at making mundane things scary. 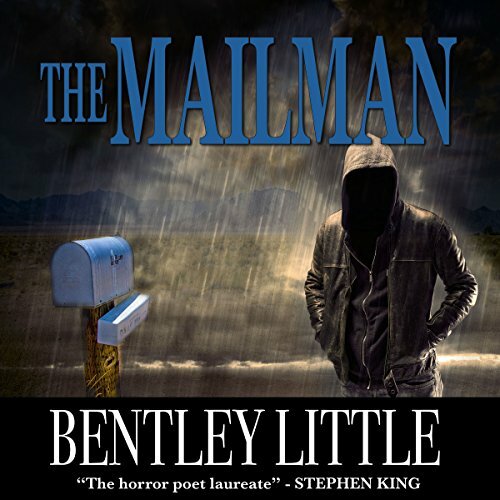 At first the mailman just seems annoying and a little eccentric but as the book progresses you really start hating this guy and by the end of the book you know he's no man, he's pure evil! A good scary read!